Why is Apollo Dock & Landscape Lighting the top rated landscape lighting installation company in Delray Beach? Because we deliver beautifully deisgned landscape lighting solutions to our cleints residential & commercial properties. Each landscape lighting design is custom tailored to your property. We are not a once size fits all shop! One of our expert team members will come out to your property, evaluate where to properly place our highly effecient LED lights and come up with a 5 star plan of installation for your peroperty! While the neighbors houses fade into the night, your property will shine with ambiance! We also offer dock lighting installations and underwater dock lights. Call us today for a complimentary consulatation for your property! Dock Lighting & Landscape Lighting will add to the appeal of your property at night. Stop worrying about the house being dark when you arrive - enjoye the landscape lighting! At Apollo Dock & Landscape Lighitng our team installs only the best quality LEDs available to ensure they will last a lifetime on your property! Every landscape lighting installation we do is with high effecient LEDs. Don't worry about added $ to the power bill! The Expert landscape lighting design team here at Apollo can transform any residential house or business into a shinig star in the night! Every landscape or dock lighting installation we do is specifically customized to fit your landscape for security and aesthetics. With full automation, never worry about having to turn on the landscape lighting - and if you want to extend the hours because you are enjoying the back yard, do so with 1 click on your phone! Enjoy your dock will into the evening with dock lighting installation. Apollo Dock & Landscape Lighting can outfit your dock to increase safety and make your dock easy to use and entertain after sunset. Dock lighting is a pinnacle of any home on the water! Attract fish and enjoy endless hours witht he kids watching the neon glow of the underwater dock lighting installation! We offer a wide array of colors and installation options for underwater dock lights. Give us a call today and we would be happy to give you a free estimate! Not only do we offer the best rated landscape lighting installation in Delray Beach, but we offer options for you to make your entire lighting installation controllable direct from your phone! We make it easy fro you to enjoy your backyard to the fullest extent! No messing with old and hard to work timers! Enjoy the backyard well into the night with friends and family! Residential outdoor lighting in Delray will make your home stand out in the neighborhood! We have heard our customers say how many compliments they get on their home after we have done our landscape lighting installations. Our goal is to maximize ambiance while also increasing safety. The LEDs we install at your home are all high quality and low voltage. We offer free estimates, so don't be afraid to shoot us a call! One of our residential landscape lighting specialists would be happy to assist you on any questions you may have! Commercial outdoor lighting is always quite a challenge to tackle. Don't fret, Apollo Dock & Landscape Lighting is here to take care! We have installed landscape lighting LEDs for large corporate parks, hotels and other commercial buildings. It is important to ensure your building's safety and patrons safety. Increase visibility at night on pathways or make your entrance stand out! Call us today with questions about dock lighting or commercial landscape lighting installations! 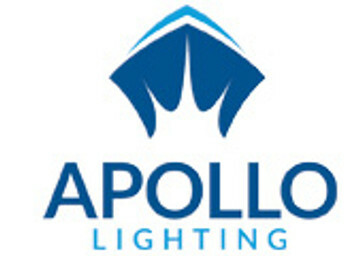 Apollo Dock & Landscape Lighting offers outdoor lighting repair! If you have old fixtures that seem like they could use a little love, or possibly your lights have lower to a dim shine instaeds of bright and luminating, we would be happy to come and take a look. We will do whatever in our power to fix your current landscape lighting installation. We also offer maintenance on your landscape lighting to ensure they will last a lifetime! Call us today! How long do outdoor lights last? Using only the highest quality LEDs available, Apollo Dock & Landscape Lighting installation of fixtures last on average over 50,000 hours! "We love the landscape lighting design Apollo did for our home! Would reccomend to anyone looking for high quality services! " " Our kids love the underwater dock lighting we had installed. The fish all swim around the light at night and it is extremely cool to watch! Pricing we really good too compared to other dock lighting companies!" " The landscape lighting makes coming home at night a pleasure now considering I used to be worried because it was so dark! Thanks a bunch Jack!"